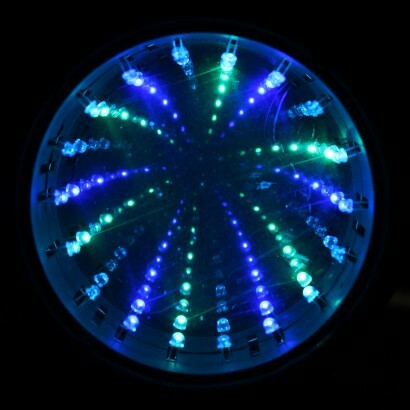 A playful mirror that's packed with colourful LEDs, the infinity mirror has a very unique special effect that creates a colourful tunnel of never ending light! 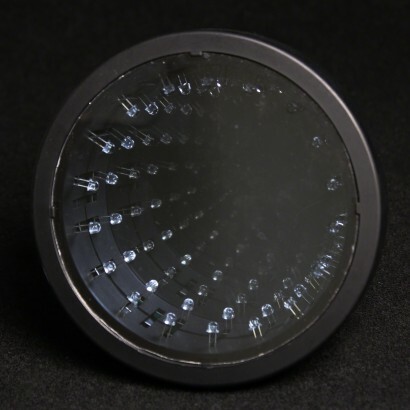 A fun accessory for your bathroom, bedroom or more, red, green and blue LEDs shine through various modes creating colourful tunnels of light. 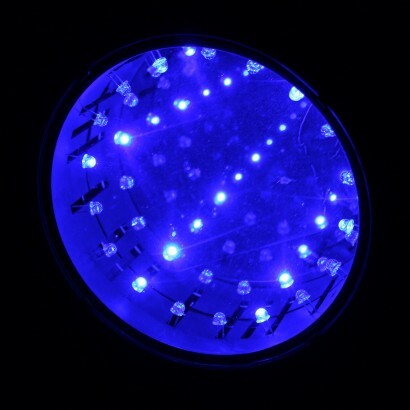 Ideal for use in sensory rooms, this infinity mirror is both eye catching and mesmerising with traceable effects from never ending rows of colourful light. 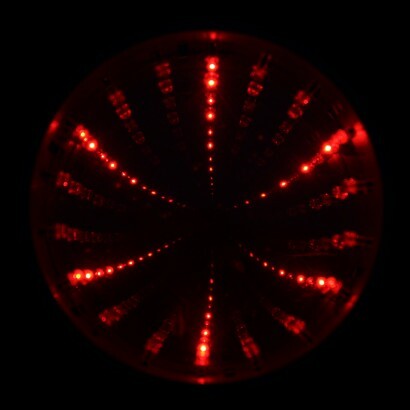 Battery operated, this striking infinity mirror can be placed anywhere instantly adding unique light effects and mesmerising colour!